A lot is at stake for the visit to Greece of Turkish President Recep Tayyip Erdogan, a two-day trip that begins on Thursday. Erdogan's last visit to Greece was as prime minister, in 2010. It is being billed as historic and may represent a chance to break the deadlock on Cyprus, a key bilateral issue for the NATO members who on occasions in the recent past have come close to conflict. "The expansion of communication channels, the development of a positive agenda between the two countries at a time when, as you can see, there are difficulties, are the issues that can have multiple benefits for both countries. Dialogue and diplomacy always bring results," says Greece's Deputy Minister of Foreign Affairs Ioannis Amanatidis. Erdogan is also expected to visit Thrace in northern Greece, where there is a Turkish minority. Greece and Turkey remain at odds on a number of other issues, from territorial disputes to migrant policies. "We hope that Turkey will respond to the Greek government's position in order to start a meaningful dialogue between the two countries, so that through this dialogue we could see whether there is the necessary infrastructure to re-convene a new conference on Cyprus," says the Cypriot government spokesman Nicos Christodoulides. Turkey also wants eight soldiers who comandeered a helicopter and fled to Greece after the failed 2016 coup handed over. Greece's highest court has blocked their extradition. Ahead of the visit on Tuesday Greek police arrested nine Turks who were charged with terrorism-related offences. They are accused of hoarding explosives and of having links to an outlawed militant organisation responsible for suicide bombings in Turkey. They have denied any wrongdoing. "Preparations for the Turkish President’s visit to Greece lasted seven months. 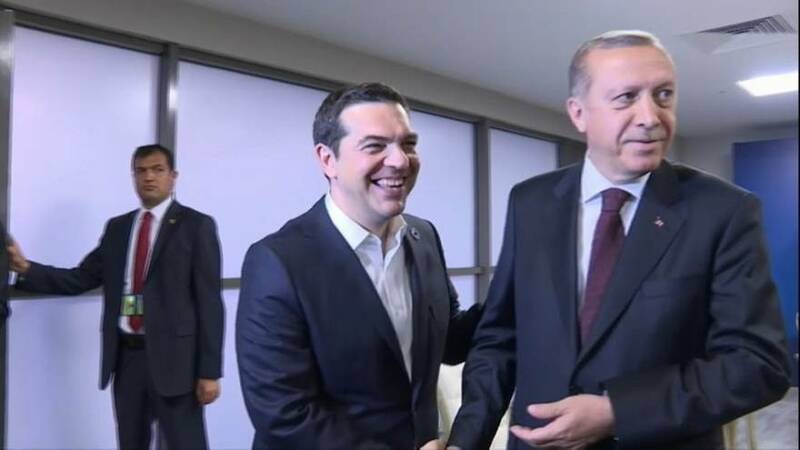 Athens and Ankara are talking about an historic event, because Recep Tayyip Erdogan is the first Turkish president to visit Greece in 65 years. Despite their longstanding differences, both countries appear determined to keep communication channels open, as they believe that this is the only way to discuss and resolve possible problems," reports euronews' Akis Tatsis. Turkey using Greek soldiers as "bargaining chips"